Atomic Scribbler – free software to plan your novel, prepare and maintain research material, then write that novel scene by scene in a modern Windows application that has a similar look and feel to Microsoft Word. No more 100,000 word Microsoft documents. Write your novel one scene or one chapter at a time. Drag and drop scenes inside your Document tree until it’s just the way you want it. Your scene or chapter notes right beside you as you write. Changed your mind about a scene? Move it to Fragments where it’s saved for later. Store images, PDFs, bookmarks to websites — all in a handy Research section. Automatic backups, automatic saving. 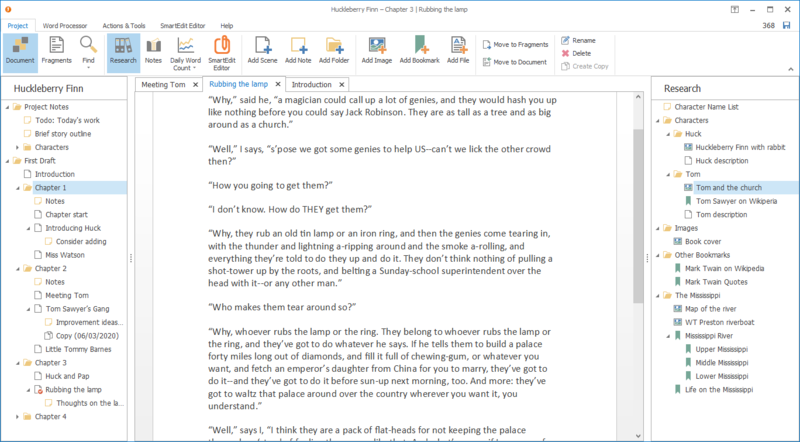 Export your novel to a single Word document with one click. Import your documents in seconds. You control your work at all times. Get help, read the tutorials, watch the Getting Started video, visit the support forums.